Is EU immigation so negative for the UK and is it out of control? EU immigration has been possibly the single most topical issue in Britain since 2004, when Britain allowed various new members of the European Union (EU) such as Poland to come and live and work in the UK. When the economic and financial crises hit, the views on immigration hardened noticeably in Britain, with an accent on immigration from central European countries. The discourse evolved into “British Jobs for British Workers” under the Labour Party. Under the Conservative Party, the debate intensified further, partly due to the impact of the UK Independence Party (UKIP), resulting in a “cap” on annual net immigration at 100,000 and concern over Britain’s “uncontrolled borders” due to the EU’s freedom of movement of people. Attention then shifted to Bulgarian and Romanian migrants and EU “benefit tourism.” Lately, the surge of refugees and asylum seekers to the EU in 2015, on-going tensions in the “jungle camp” in Calais and the possibility of jihadist terrorist sneaking through EU borders have elevated anxiety to peak levels. This is a very potent mix of issues to discuss. In the context of the British referendum on whether to remain in the EU or not, the key issue boils down to this question: to what extent is the EU and its freedom of movement of people the reason for the current level of immigration in the UK and it is good or not for Britain?? Is the level of foreign born population much higher than the EU average? The first issue to address is whether Britain is somehow exceptional and has disproportionately higher levels of foreign born population living in the country. The answer is an unequivocal no. The UK and Germany had very similar levels of foreign-born inhabitants (12.3% and 12.4% respectively) as a percentage of the overall population in 2013. The latest figures would probably be around 14% for the UK but larger for Germany, following the entry of over 1 million refugees in 2015, an issue which I have written about. The percentage of foreign-born populations in the UK is relatively modest compared with many EU countries such as Luxemburg (42.4%) and Cyprus (23.2%), well as others such as Belgium (15.7%), Ireland (16%), Austria (16.1%), Sweden (15.4%), etc. Indeed, given Britain’s not so distant colonial past, the level of foreign born population in the UK could have been a lot higher. At the same time, it is not only foreigners that have been beating a path to the UK. Historically speaking, a very large number of Britons emigrated to the rest of the world, especially the Commonwealth countries, though there is far less concern about British emigration as about immigration into the UK. Focusing on the role of the EU migration and thus on the freedom of movement of people, the EU cannot be held responsible for any migration to Britain prior to joining the European Economic Community (EEC) in 1973. Until then, Britain was entirely in charge of its immigration policies and the pattern of immigration reflected its colonial past and the rules established by successive British administrations. The freedom of movement of people is one of the four economic freedoms that form the basis of the EU: free movement of goods, services, labour and capital. By voting in a referendum in 1975 to join what is now the EU, the British people accepted these four economic freedoms. The freedom of movement and residence for persons in the EU as one of the cornerstones of the EU was established by the Treaty of Maastricht in 1992 but the data show that the flow of EU citizens to the UK was a trickle until 2004, when larger numbers started to come to the UK. Are Britain’s Borders out of control because of the EU? Over time, the EU has grown to 28 member countries, a process that successive British governments have supported enthusiastically until recently. There is always a possibility that people will flow from lower income/employment economies to higher income/employment ones. This is the very reason why EU transitional provisions exist to restrict the flow of people from new member countries to the rest of the EU for a period of up to 7 years. This applied to Spain, Portugal, Ireland, etc. when they joined to the EU then Poland, Slovakia, etc. then Bulgaria and Romania (until 01 January 2014) and it applies to Croatia, the latest country to join the EU, until 2020. Each member country has a choice of either sticking with the 7 year transition or not. Thereafter the EU freedom of movement of people and workers applies in full to the new EU member countries. The evidence shows that there was not a significant flow of people from the EU to the UK until 2004. Until that point the overwhelming majority of immigration to the UK reflected the policy of the British government, which in turn reflected Britain’s colonial heritage and its agreements with Commonwealth countries, as well as a strong flow of students to the country. These are not something which the EU interferes with. They are national decisions that Britain makes. Britain is an island: unlike most other EU countries which have no internal borders and thus people can cross former borders unimpeded (this is changing following the 2015 refugee crisis), this is not the case in the UK. As an island, it has defensible natural and other borders. There are few entry points and every person seeking entry is checked by the UK authorities. Therefore, the notion often repeated by the media and “Leave” politicians that Britain has “uncontrolled borders” because of the EU and its freedom of movement of people is little more than a fib. It has opted out of Schengen, it has natural borders and migrants can only come in via three routes: the Channel tunnel, the harbours and the airports, all of which under the exclusive control of the UK Border Force. It is only the people that are allowed in (or manage to sneak in) that get through. This is the exclusive preserve of the British government. What it cannot hinder is the freedom of movement of EU citizens (once the transition period is over). However, this cuts both ways: Britons can and do leave the EU to other EU countries in large numbers. If Britain is an island and is able to check every single passport of every single person coming into the country, you might well pause to ask what is so uncontrollable about the UK’s borders, other than EU related migration? Whose fault is that and is the EU element a reason to leave the EU? Why did EU migration increase and is it detrimental to Britons? 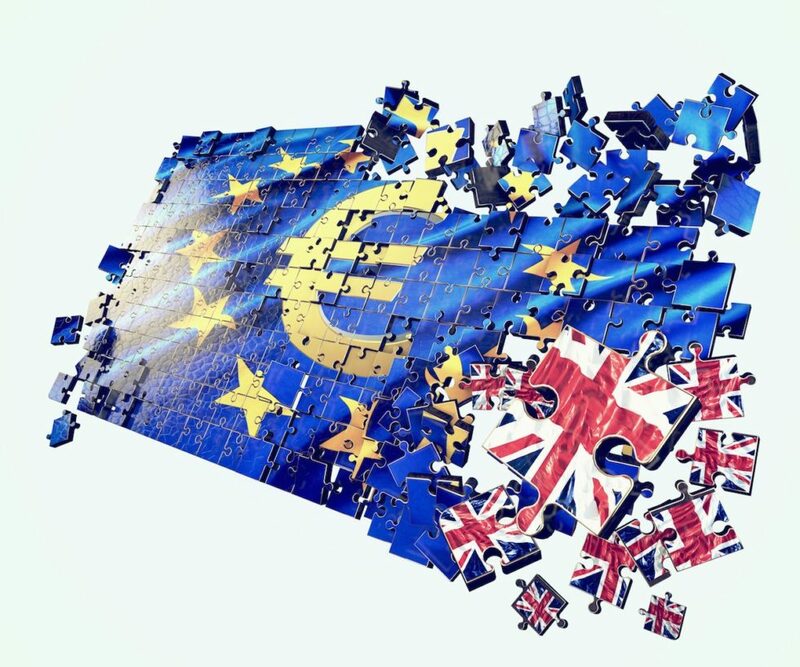 The UK government (and Ireland and Sweden) chose to forego the EU transition arrangements and opted to remove the restrictions on labour market access from the onset of the EU enlargement in 2004. Other nations gradually followed suit, but like the UK, did not have to for 7 years. Germany and Austria restricted labour market access to the maximum period allowed. EU-8 is the term used to denote the 10 countries that joined the EU in 2004 (Czech Republic, Estonia, Hungary, Lithuania, Latvia, Malta, Poland, Slovenia, Slovakia), excluding Cyprus and Malta. The UK decided of its own volition and with its national interests in mind, to allow the citizens of the EU-8 countries to live and work in Britain immediately. 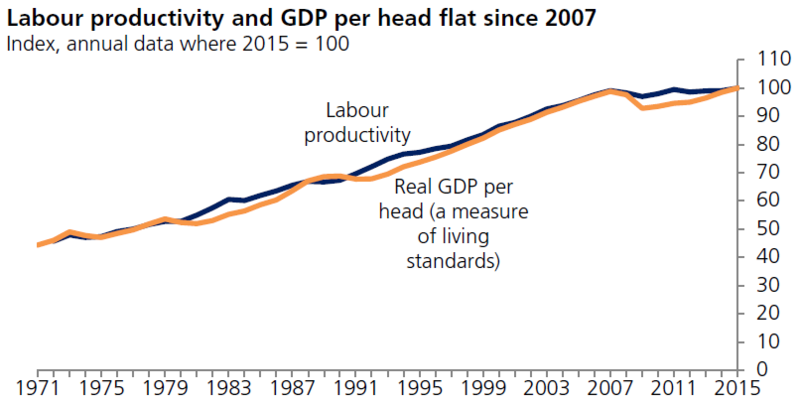 The rationale at the time was clear: Britain’s economy was booming and both the government and the private sector were concerned about a possible overheating labour market. The problem was solved by suspending the EU’s 7 year rule. Citizens from the EU-8 responded to the invitation to come to the UK, exactly as hoped by British authorities and industry. The key issue, however, was that neither foresaw just how many would choose to take-up the offer to come and work in the UK and Ireland. But this was not an issue as the economy kept growing and all boats kept rising with the tide of employment and wealth being generated. British companies, British tax payers and British citizens benefited from the contribution of a young, healthy, educated, willing and industrious new source of labour. When the double-whammy of deep recession and financial crisis hit, leading to unemployment and reductions in wages, the gear was thrown into reverse. History has a habit of repeating itself. The call for “British Jobs for British Workers!” was soon be heard, as well as increasing levels of criticism of Central European migrants, which then transmuted into criticism of the EU, the freedom of movement of people, Britain’s uncontrolled borders, etc. 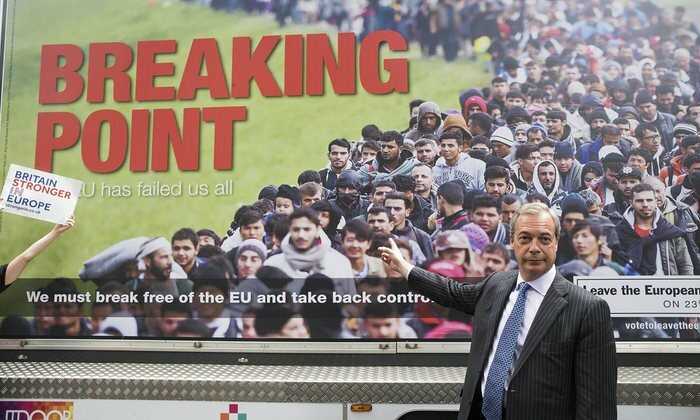 This was followed swiftly by the rise of UKIP as a political force, leading to a decision by the Conservative Party to cap net immigration at 100,000 per annum and culminating in the decision to hold a referendum on whether to remain in the EU or not on 23 June 2016. The hardening of public attitudes in respect to EU immigration specifically since 2008/9 only makes sense if the EU migrants, and more especially the recent arrivals from the EU-8 countries, have been taking-up jobs which the British population would have otherwise have had, thus leading to higher levels of unemployment among the native population, as well as depressing their wages. The evidence is that there are two types of EU migrant: those from “old” Europe (EU-15 such as France, Germany and Italy) who are slightly younger and more highly educated than the average Brit and those from “new” Europe (EU-8) who are much younger and also better educated than the average Briton. 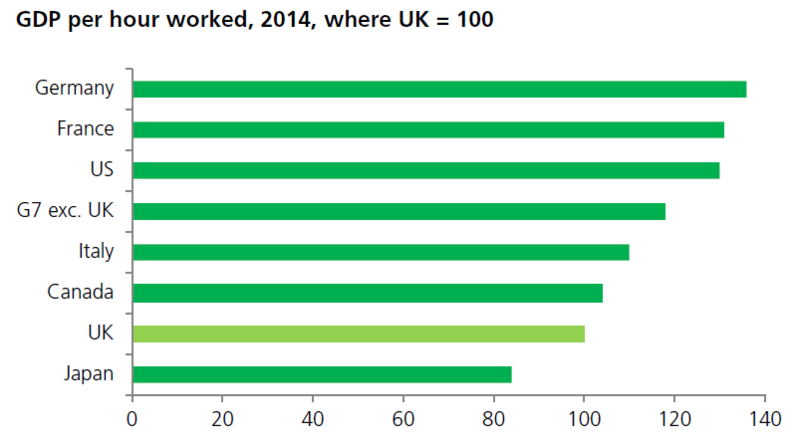 The old Europe migrants tend to find more highly skilled work than the average Briton. However, the new Europe migrants, partly because of the lack of language skills, found work mainly in low-skill, low-paid jobs such as skilled trades, construction and services jobs. The evidence is that neither the “old” nor the “new” EU migrants put pressure on the wage and job prospects of the native British population. A review of various UK studies shows that there has been no, a small negative or a small positive labour market effect (wages, unemployment, etc.) in destination countries such as UK, while the long run impact is thought to be very small or none. By contrast, “old” EU migration has resulted in an increase in human capital, leading to higher productivity while also having a positive effect on British GDP. The consistent conclusion from research into the labour market effects is that migration from the EU has been beneficial to the UK economy. Is the EU freedom of movement a one way street? It might be quite hard for some to comprehend this, but not all roads lead to London and the south east. 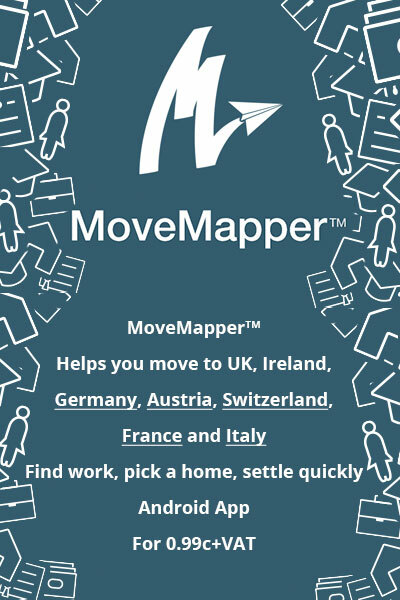 The EU’s freedom of movement of people (as well as goods, services, capital) is a remarkable gift: it allows all EU citizens to travel across 28 countries (31 when Switzerland, Luxemburg and Lichtenstein are counted) to study, work, retire, au pair or just enjoy the richness of Europe whenever and as often as they like without “let or hindrance”, something which Britons should appreciate since these very words are engraved in our passports. Many, if not most Britons, enjoy some or all of these freedoms in one way or another, not least in terms of their holidays. 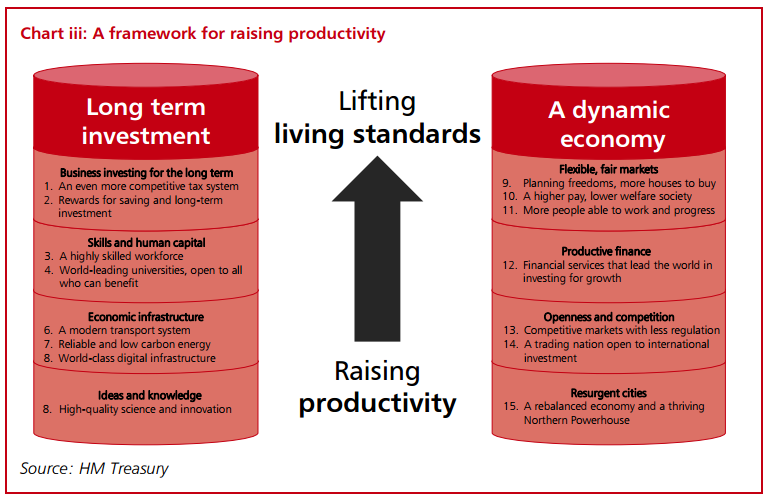 Indeed, 2.2 million Britons, such as me, have chosen to work, study, invest (e.g. holiday and retirement homes and pension funds) or retire in EU countries not least Spain (just over 1 million), France (330,000), Ireland (329,000), Germany (107,000), Cyprus (65,000), the Netherlands (48,000), Greece (45,000), Portugal (39,000) and Italy (37,000). It is not possible to claim anything other than that the UK and its citizens have taken full advantage of the freedom of movement of people in the EU: the numbers of Britons living in the EU almost balances the EU citizens living in the UK (2.3 million). Despite the somewhat hypocritical stance of many Britons towards the EU freedom of movement of people, this right is something which is taken for granted by a very large number of them, especially the elites that control the British media and the political parties (it would be good to know just how many of them own a holiday home and/or how frequently they holiday in the rest of the EU). Leaving the EU would be a double-edged sword for Britain. Is the level of EU migration to the UK unstoppable? 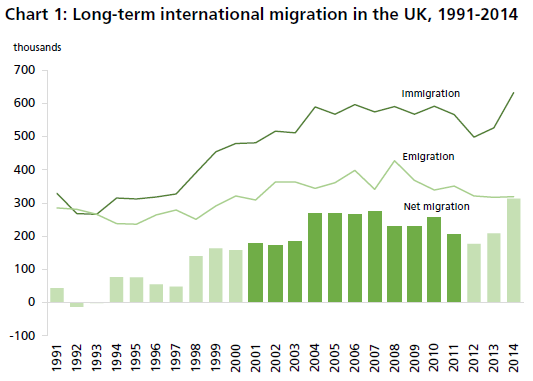 Chart 1 shows immigration, emigration and net migration in the UK. During 1991 – 2014 immigration increased rapidly from 329,000 to 632,000. Emigration also increased from 285,000 to 319,000. Net migration (those arriving minus those leaving), increased from an annual average of 37,000 during 1991 – 1995 to an annual average of 232,000 during 2010 – 2014; this represented a significant and sustained increase in the level of migration. 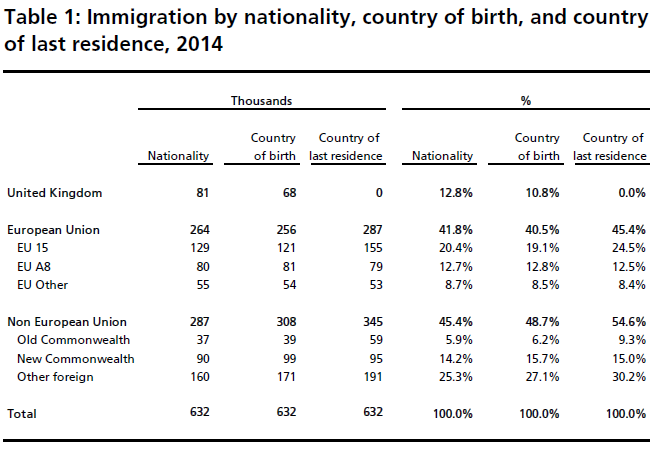 However, the majority of immigration is not from EU countries, as the Table illustrates for 2014. Historically, EU migration to the UK has been relatively low: during the period before the British government chose to allow EU-8 countries to enter Britain in advance of the 7 year transition period, EU migration accounted for 12.9% of all migration. By 2014, 41.8% of annual immigration was attributable to the EU’s freedom of movement of people. However, the majority of migrants to the UK remain Brits returning home (12.8%) or non-EU nationals (45.4%). The decision by the UK to allow close to 60% of migrants to enter is not to do with the EU in any way, shape or form. Of the 41.8% of the EU nationals entering the UK in 2014, almost half (20.4%) were from the EU-15 or “old” Europe such as Germany, Italy and France. As previously discussed, these are typically extremely well-educated, professional individuals who the British economy relies on to succeed and thrive. 12.7% of EU migrants were from the EU-8 such as Poland and Slovakia. The rest, 8.7% are from the rest of the EU, which is mostly Romania and Bulgaria. These are less well educated but still outperform the British average. On this basis, although EU migration to the UK is undoubtedly significant, it is beneficial to the economy and only 21.4% of overall migration is from countries that Britons have become sensitive to in recent years. The UK could reduce the levels of migration from non-EU countries (45.4%) overnight, if it chose to do so, without reference to the EU or anyone else. Presumably it prefers not to hinder Britons from returning home, students paying pretty good money into the British higher education system or close-off access by Commonwealth countries (or presumably cut-off the supply of highly skilled employees from “old” Europe). The rest (from the EU-8 and EU-2) amounts to 21.4% of the immigration experienced in 2014 or about 1 in five of the migrants entering the country. Is this worth leaving the EU in order to stop this group from the EU entering the country? And is it worth doing so despite the evidence that such migration does not depress wages and does not reduce the employment prospects of native Britons? I don’t think so, despite the media negativity and the claims of UKIP and Leave faction. However, it might possibly be worth it if the EU citizens, whether from old or new Europe, were in the UK specifically to take-up the social benefits, rather than coming to work and thus contribute to the British economy. I shall address the issue of EU “benefit tourism” in the next post. Migration from the EU was relatively low until 2004 when the UK decided, in its own interest, to allow immigration from the EU-8 accession countries such as Poland a full 7 years before the EU transition period officially required it. The UK benefited greatly from this decision, as did the many migrants that responded to the UK’s invitation: they did not come illegally to Britain. When the economic and financial crises struck, the mood turn ugly in the UK towards migrants generally, and those from the EU specifically. The freedom of movement of people is routinely criticised but the facts are that Britain has opted out of the Schengen Agreement, is an island and is in full charge of policing its own borders and deciding who comes into the country, not the EU. The latest information shows that immigration is running high but 12.8% are either Britons returning home or non-EU nationals (45.4%), mostly from the Commonwealth countries, over which the UK has full control of but rightly, chooses not to stop. This means that less than half (41.8%) of the UK immigration originates from the EU. But even here, the situation is not as simple as UKIP and the Leave campaign pretend. Almost half (20.4%) are from the “old” Europe comprising top professionals which the British economy depends upon. Only 12.7% are from the EU-8 such as Poland and Slovakia and 8.7% are from EU-2, namely Romania and Bulgaria. However, in both cases, the evidence is that they are neither reducing the wages nor the employment prospects of native Britons. Furthermore 2.2 million Britons benefit from the EU freedom of movement of people compared with 2.3 million EU citizens living in the UK. A decision to leave the EU would be a double edged sword for Britain, since it not only benefits economically from EU immigration, but also exports pensioners, student and workers to other parts of the EU. Is this a case of the British media and populists politicians eating the EU cake and having it too? Form your own opinion. The current levels of migration will destroy Europe as we know it; the borders must close, only legitimate applications up to a predetermined cap can be accepted and the rest sent back. This all seems logical and it plays well as a populist theme. This certainly applies to parties such as the Alternative für Deutschland (AfD) in Germany and the UK Independence Party (UKIP), but it also goes down equally well with the mainstream political parties such as the Conservative Party in the UK and the CDU and especially CSU in Germany. This is without even mentioning the more radical right wing movements that exist throughout Europe. Not surprisingly, shrill criticism of the migration issue and the EU’s apparent inability to manage the situation is particularly evident in the UK, as it gears up for the forthcoming referendum (the exact date of which has not yet been announced) on whether to remain in the EU or not. It is very difficult to unpack and analyse what is clearly a highly emotive theme, let alone have a sensible debate about it, which is the very reason why certain political parties are making hay with the refugee issue. Previously, their favourite theme was the Eurozone/Greece crisis, now it is migration but the overall gloom and doom narrative does not change very much. I should stress that there are clearly legitimate public concerns throughout Europe about the migration issue, both within the EU and from outside. However, the use of scare tactics to gain political or other advantage is not something I enjoy witnessing so I aim to address a sub-set of issues, such as Germany’s alleged irresponsible behaviour, the argument that Europe simply cannot cope and the refugee backlash that is in full swing before the first month of 2016 is finished. I will start with Germany’s role in the European refugee crisis. There is certainly a messy situation, but did Germany act irresponsibly in 2015? Any way you choose to cut it, Germany has played the key role in the refugee crisis. Germany accepted 1.1 million refugees in 2015, a number than could rise further on by the time the counting is official. Germany had in any case been experiencing significant flows of migrants, mainly from the EU. For the last few years this has been running at over 400,000 net migrants per year. Add this up and Germany received at least 1.5 million net migrants last year, which is an astonishing figure. Furthermore, under the German asylum law, refugees may be allowed to bring their family members, resulting in a significant and unquantifiable flow connected with 2015. By any reasonable criteria Germany has been an incredibly good country to accept so many people. This is not just about the cost involved, which is undoubtedly significant albeit one which Germany is in a position to absorb. Being a good country is first and foremost about the willingness to recognise the human suffering cause by the migration crisis and to try to do something about it, rather than turning a blind eye to it all. The contrast with many other EU countries could not be greater. 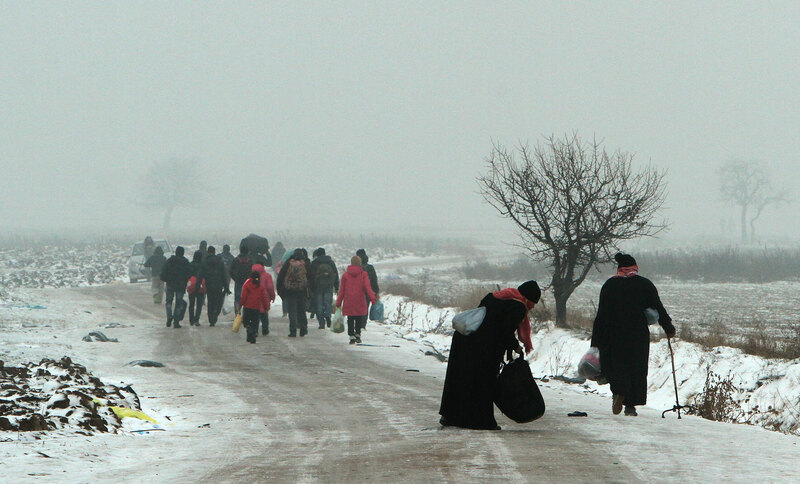 Countries such as the UK have agreed to accept 5,000 Syrian refugees per year for the next five years. It has to be borne in mind that even this paltry number was only agreed to following a public outcry from British citizens appalled by their government’s hard heartedness, which bounced Parliament into agreeing to do more. Germany is not alone in being a good country: about 90% of the refugees have been accepted by three countries out of 28 in the EU: Germany, Sweden and Austria. What about the response of the other 25 countries of the EU? Following months of unedifying political squabbling, which continues to this day, the best they could come-up with was to agree to relocate 160,000 asylum seekers from Greece and Italy over the next two years: this is an average of 5,700 per country over two years, though very few of these transfers have actually occurred so far (less than 500 were achieved in 2015 and only 3 out of 10 “hot spots” have opened according to some estimates). Is “pitiful” too strong a word to summarise the EU’s collective failure in the face of a mass humanitarian crisis? I don’t think so. It is not the first time that the EU has failed miserably to stand up to be counted and it will almost certainly not be the last. It is not as if the refugee crisis was some sudden, unexpected act of god; this is the result of steadily growing pressure and reaching its natural and inevitable conclusion. There was nothing about it that could not have been predicted by the civil servants of the European Commission or of the EU member states. This is the worst crisis since WW2: the number of forcibly displaced people, often due to wars, reached almost 60 million worldwide at the end of 2014, including over 14 million refugees. This was an increase of about 25% compared to the previous year and is mostly due civil war, violence and oppression in Syria, Eritrea, Afghanistan, Somalia, Iraq, etc. although other regions, including northern Africa and the Balkans, are also major sources of migrants (IMF, 2016 / The Refugee Surge in Europe: Economic Challenges). This is nothing short of a mass human tragedy, which Europe is neither immune to nor can afford to simply turn its back on. Globalisation entails many new developments, including the capacity of large numbers of people to move in the direction of Europe. It may take time, but sooner or later, it does reach Europe. This was not a crisis of Germany’s making: it did not chose to invade Iraq in 2003 and played little or no part in setting in chain a series of events which have destabilised parts of the Middle East, in an attempt to bring about democracy through regime change. Of all the European nations it is the UK, France and Italy (together with the USA) that bear the greatest responsibility for any resulting instability in the region. All are now conspicuous for their efforts to obfuscate causality and deny moral or other responsibility (if you break something, you should fix it) to deal with the resulting mess that they helped to set in chain. The EU failed spectacularly: the utter inability of the EU to find common ground in dealing with the huge volume of people heading towards Europe is what resulted in Germany’s more or less unilateral action. Just as in the Greek/Eurozone crises, it is proving extremely difficult for 28 countries to make decisions quickly and act in unison. This should not be in the least bit surprising. The EU is very far from being a United States of Europe; this simply reflects the fact that the nation-state is alive and well within the EU, despite exaggerated claims of its demise. Each nation retains the ability to follow its own mandate and block changes that it does not agree with. The Central European (Visegrad countries) and Western Balkans states have made their views crystal clear in respect to taking a share of the refugees, but they are not alone. Just as in the case of Greece and the Eurozone, finding a common solution to an unexpected large-scale problem is a slow, messy and costly process. In the end, to misquote slightly the famous words: Europeans Will Always Do the Right Thing — After Exhausting All the Alternatives. The 28 nation states plus the various Candidate Countries (i.e. Western Balkans including Turkey) will find an imperfect compromise and Germany will pay a disproportionate amount of the cost arising. Such is the iron rule of the EU. No other scenario is possible if 28+ nations are to continue to play broadly for the same team. How many other international agreements are you aware of that take a couple of weeks or months to resolve? Climate change agreements? International trade agreements? These things take years or decades, not weeks or months to sort out and are always and everywhere an uneasy compromise. 28+ countries finding a way to deal with the worst humanitarian crisis in 70 years takes time but in 2015, time was of the essence where people are involved, rather than just economics. Cometh the hour, cometh the country: Germany chose not to sit on its hands but to act in alleviating the growing pressure along the Turkish-Greek-Balkan-Central European corridor. You are free to form your own opinion about whether Germany has acted irresponsibly or not. I personally think that not only has Germany acted incredibly responsibly, but as tax payer and resident of the country, I am proud of living in such a country. No doubt, Germany has already changed as a result and ordinary Germans are deeply unsettled about the implications, an issue which I plan to write about in the future. This is a reflection, among other issues of the fact that the scale of the problem is so great that no country can possibly solve it all on its own – not even Germany. The next issue is whether Germany and/or Europe have relevant experience and if they can absorb the numbers of refugees. For a start, I can distinctly remember (since I was part of it) a small, poor, broken European country of 8.5 million absorbing about 1 million people from its former colonies during the mid- to late-1970s. While there are major differences with the current situation (common language, culture, religion, etc. ), Portugal was not part of the EU but absorbed those numbers and did not collapse despite its politically chaotic and economically precarious post-colonial situation at the time. In fact, it thrived as a result of the influx. Don’t get me wrong: I am not suggesting that Europe should fling open its doors to all and sundry with no questions asked, but I am saying that Europe is much more robust than many would seem to believe. After a short-lived spike of international approval for its decision to take on the refugees, Germany has since reaped criticism, direct and indirect, most of which has been leveled at Angela Merkel, the Germany Chancellor. The gist of the argument is that she has gambled Germany’s long term interests for personal hubris: she wanted to cap her career with a Nobel Peace Prize and/or improve Germany’s international image after the Greek crisis. Others of a more analytical bent sought instead to justify Germany’s actions (and presumably the inaction of their own governments) by pointing to Germany’s ageing population structure. It seems to me that almost all 28 EU countries are suffering from the same problem, albeit to varying degrees. Did others facing the same demographic situation jump to take their share of refugees? I don’t think so. It is certainly true that Germany and many EU countries have a rapidly ageing population structure (fertility of around 1.5, which is below the replacement rate of 2.1) that would greatly benefit from significant immigration of the scale that happened during 2015. But I take issue with the implication that the German authorities naively failed to foresee the likely stresses and strains that would be generated by taking so many refugees in one year (the estimate at the time was 800,000 – 1 million refugees). The reality is that Europe generally and Germany specifically have plenty of experience of large scale refugee crises and indeed of Muslims culture. Firstly, Germany has a large number of Muslims. According to the 2011 Population Census, there are just under 6.2 million foreigners in Germany and Turks alone accounted for the largest group (1.5 million people or 24.4%). In all, some 2.5 million people are of Turkish origin. It is not as though Germany is not aware of the stresses and strains associated with the religion, gender, education, labour market and other dimensions connected with integrating populations, including Muslims. The same applies to many countries of the EU but unlike others, it still went ahead with what is often described by its critics as its “open door” policy. Secondly, it was not so long ago that Germany had to respond to a refugee crisis of similar proportion. During the 1990s, a large number of asylum applications were lodged due to crisis in the ex-Yugoslavia, though the peak of that crisis in 1991 (around 700,000) has been exceeded in 2015 (see first Figure below). That said the second Figure below illustrates the point that the numbers were relatively low compared to those of the 1990s, though the diagram does not take the 2015 influx of over a million refugees into consideration. It is probably not a coincidence that then, as now, Germany absorbed the lion’s share of refugees. Thirdly, to put things in context, Europe had only absorbed 1 out of the 14 million refuges worldwide in 2014 and this increased to 2 million in 2015. Whoever believes that what has happened in 2015 is the end of the matter and that the EU can simply put-up the fences, close the borders and turn its back on the rest of the world is deluded. A proportion of the 12 million other displaced people are heading our way in 2016 and beyond: the current estimate is that another 1 million will aim for the EU this year and possibly more. The way to end this catastrophe is not by pulling-up the drawbridge to Fortress Europe; if the conflicts in the countries in question are ended and if this is combined with a major reconstruction programme, in time, the human tragedy and the migratory process will also abate. Putting-up fences and closing borders will restrict some of the flow, but will also add to the human desperation without actually dealing with the root cause. To conclude, in my view Germany did not saunter into the current situation blithely and Mrs Merkel was right in saying “Wir schaffen das.” We can do it: I agree with her. Other, much smaller and poorer countries have in the part or are currently absorbing the same or higher numbers of refugees. Germany knew, more or less, the implications of opening its borders to about a million refugees, even if the general public could not have predicted the exact consequences, including the outrages in Cologne and other cities. It is most unlikely that Europe’s pre-eminent politician would not have sniffed the potential political, social, religious and cultural implications of undertaking such a radical step. The numbers absorbed by Europe are relatively small by comparison with the numbers being absorbed by other countries, including Turkey. If they can do it, so can Europe. Indeed, a cursory reading of European history proves that it has coped with wave after wave of migration. To ask if the refugee backlash is coming would be to pose the wrong question: it is already here. The mood in Germany and the rest of Europe started turning ugly long before the Paris terrorist attacks and the mass sexual and other crimes in Cologne and other German cities during the New Year’s Eve celebrations that went wrong. Pensioners are up in arms about the way they perceive their country is changing. Parents are concerned about their children’s education as gymnasia are requisitioned as temporary accommodation and class rooms begin to take the strain of absorbing the influx of non-German speakers. House prices and rent levels are being pushed up in an overheating housing market where affordable accommodation is scarce. Region and local authorities remain deeply concerned about practical matters in addition to shelter, such as state benefits and labour market opportunities for refugees. The issue of integration and whether it is possible to achieve or not, is “the” topic of conversation. This applies to Germany and it applies equally to other EU countries. Angela Merkel has gone from being Europe’s pre-eminent politician and practically politically unassailable in Germany, to being under siege. Make no mistake about it; she is fighting for her political future. Yet despite the ratcheting of pressure, even today, she is refusing to put a cap of the number of refugees that will be accepted by Germany in future (the CSU is openly advocating a cap of 200,000 per annum, which itself puts the UK’s response in the shade). There are probably two reasons for this. Firstly, German asylum law is based on individual assessments so caps would not be workable without changing the law (but we know laws can be changed at the drop of a political hat). Secondly, the huge numbers of forcibly displaced people out there (14 million and counting) are desperate and there is no end to their travails in prospect. What would you do in their shoes? Which safe harbour would you try to reach, possibly at the cost of perishing on the way? A cap would be a meaningless promise without a workable EU arrangement. Mrs Merkel is displaying the hallmark of true leadership: political courage and acknowledging moral duties beyond her nation’s borders. That is the essence of being responsible in a European and global sense, though I recognise fully that many would much rather put national and personal interest before anything else, including in Germany. Merkel probably expected the rest of Europe, especially the largest countries, most of which have had more than a hand in the unfolding disaster in the Middle East, to take a much greater share of the humanitarian burden. Despite the lessons of Greece, she has miscalculated in relation to most of the EU and is now in the middle of the biggest political crisis that she has ever faced. She also appears to have greatly overestimated the Greek and Turkish capacity to manage their borders. But she is nothing if not a pragmatic leader. She has recognised that the whirlwind is not just gathering, it is already blowing. A change has already been signaled that 2016 will not be the same as 2015. The scale of the challenge means that Germany cannot shoulder the burden mostly on its own for much longer. All three of the most generous countries have introduced border visa checks (three others have also and many more are threatening to do the same). A closure of national borders has so far been resisted by the EU, but this could change. Sweden has announced that 80,000 of the 160,000 refugees it accepted will be sent back because they are economic migrants, not refugees. The EU has reinforced the message by stating that 60% of the applicants are not refugees at all but economic migrants mainly from the Balkans and North African countries such as Morocco and Tunisia. It has also threatened to suspend Greece from Schengen for systematic failures in the migrant crisis. In turn Greece is pointing its finger at Turkey for allowing migrants to “swamp” their border and islands. Reports are piling up that in addition to anti-refugee demonstrations and hostels being set on fire in Germany, violence is erupting in Sweden and other countries. A common EU approach is the only way forward, combined with a serious and concerted effort to end the conflicts and reconstruct economies, since these are the drivers of mass population displacement. But just like the Greek and Eurozone crises, which are also far from over, it will not happen miraculously or overnight. So, get ready for a much more hard-nosed European approach to the refugee crisis, with an emphasis on only accepting people from conflict zones (true refugees and asylum seekers) and rejecting all others (i.e. economic migrants). The EU drawbridge is being pulled-up. The wider societal backlash is already underway and those that are leading it will not be pausing to distinguish those that deserve to be helped from those that do not.